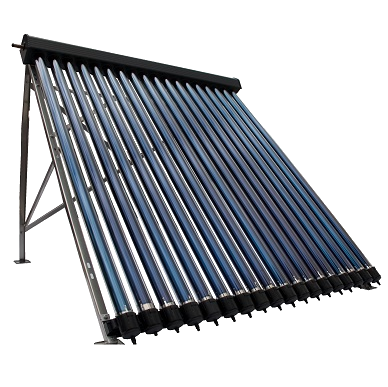 ENSOL solar collector is designed for changing energy of solar radiation into useful thermal energy used for providing warm service water, heating swimming-pools or supporting a heat source in a heating system. Collector’s housing construction is based on a rigid frame bent from a special aluminium profile patented by ENSOL company. 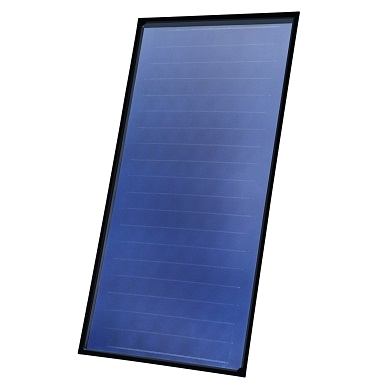 At the bottom, the housing is closed with an aluminium sheet, whereas the cover is made of a special, high-transmission solar glass. The manner of fixing the glass ensures tightness of housing and minimizes thermal tensions. 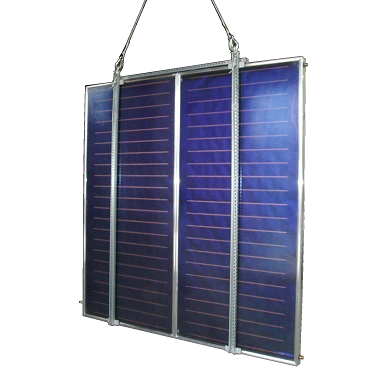 The main part of the collector is an absorber, the plate of which is made of copper or aluminum sheet covered with a high selective eta plus coat in order to ensure a high level of solar radiation absorption, which results in obtaining high efficiency of the energy conversion process. The absorber’s plate is connected by the means of ultrasonic welding with the copper tubes system, in which the medium circulates. Heat losses were minimized by application of lower and lateral insulation made of mineral wool of low heat conduction. Specially designed assembly sets made of stainless steel are used for trouble-free and secure mounting of collectors to roof constructions with different angles inclination. Flat collectors with prismatic glass have certificate of compatibility with DIN EN 12975-2:2006 norm conducted by TÜV Rheinland Immissionsschutz und Energiesysteme GmbH and Solar Keymark certificate.